The arts, athletics, academics; talent comes in all forms. Do you know a talented teen? 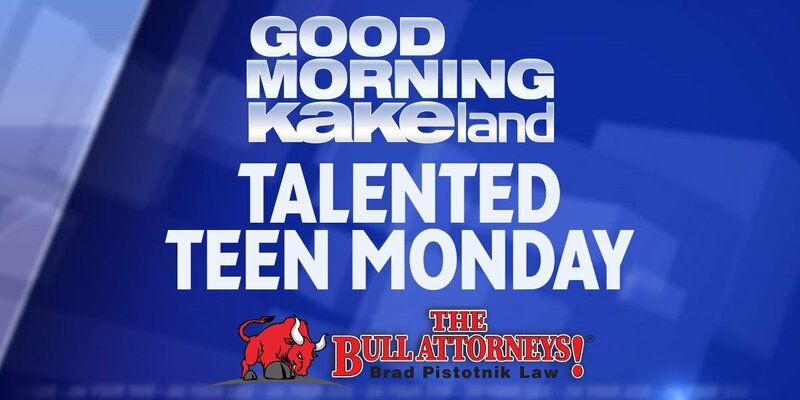 KAKE wants to feature them on Good Morning KAKEland's Talented Teens Monday which airs every Monday at 9 a.m. To enter, please register and upload your teen's video of them doing their talent. You must be 18 or older to submit an entry, so if you are younger than that, a parent or legal guardian will have to upload your video for you.